Dan Gurney, the first racer to achieve wins in Formula One, NASCAR and IndyCar and one of the most revered and accomplished figures in motorsports history, died Sunday, family members have confirmed. He was 86. Reports of Gurney’s passing spilled out on Twitter Sunday evening, initially from driver and team owner Bobby Rahal, and they were later confirmed by his wife Evi in a statement sent to Racer.com. 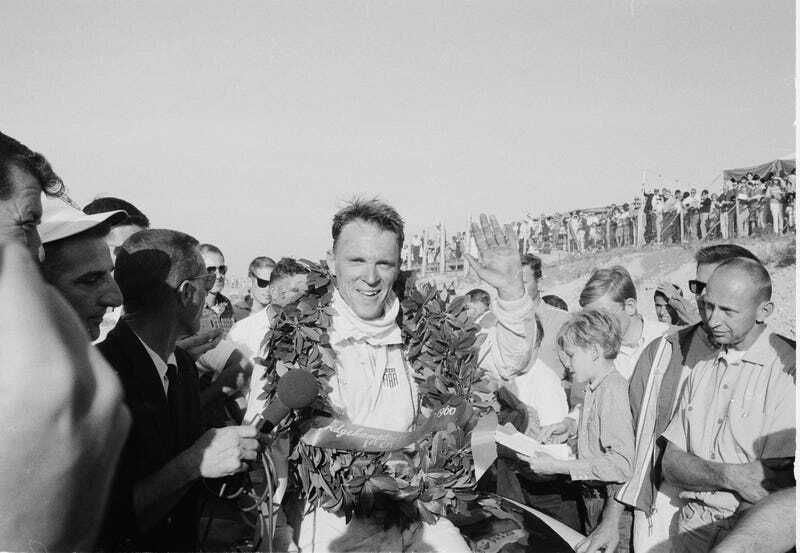 Gurney ranked among the world’s most prolific drivers, and certainly among the most highly regarded Americans the racing world had ever seen. Even alongside a generation of drivers that included legends like Jim Clark, Phil Hill, Jackie Stewart, Stirling Moss and many more, Gurney’s accomplishments behind the wheel and as a team owner mark him as one of the all-time greats. He was the kind of racer that would jump into anything with wheels and take it about as fast as it would go. Across the span of his lengthy racing career, Gurney won races in Formula One, Indy, NASCAR, Can-Am, Trans-Am, and more. The Hall of Fame driver was an incredible part of racing’s history, working not only to win races as a driver, but as a team owner and manufacturer as well. Gurney himself began his All-American Racers (AAR) team in 1966, though 1967 was perhaps the year of his greatest achievements. June’s 24 hours of Le Mans saw Gurney put in a sublime effort with A.J. Foyt to win for Ford, followed by his own invention of the champagne spray podium celebration. The following month he won the Belgian Grand Prix in a car of his own construction, the Eagle Mk. 1. Gurney was responsible for aerodynamic advancements (the Gurney flap), pioneered closed faced helmets for racers, and penned the famous 1978 “white paper” arguing for an overhaul of American open-wheel racing. Following his retirement, Gurney gave his full attention to team ownership, and piloted AAR until 2011. His team won 78 total victories across the world of open-wheel and sports cars. Gurney also served in the Korean War as an Army artillery mechanic. Gurney is survived by his wife Evi, and sons Justin, Alex, Jimmy, and Dan Jr. The family will conduct a small and private funeral, as per Gurney’s wishes.